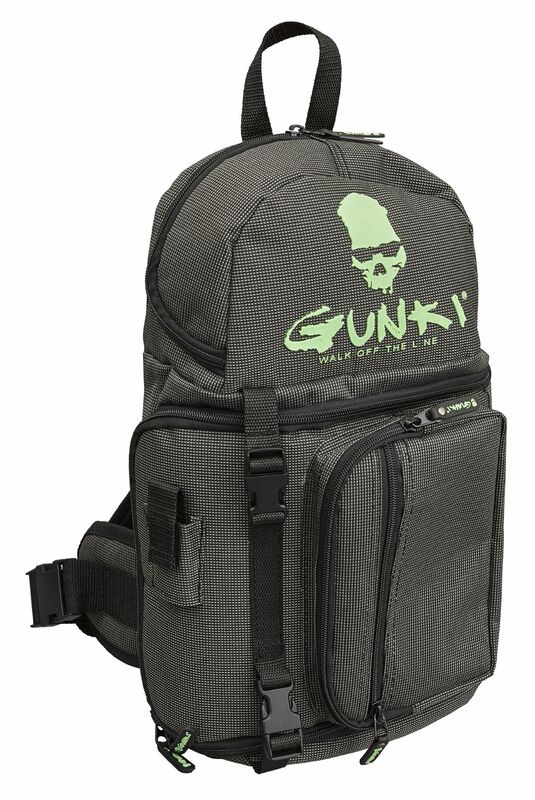 Gunki Iron-T Quick Bag is a compact rucksack that you can spin round from your back to stomach with ease without having to taking it off enabling you to quickly get to the tackle you need inside. Well designed neat zipped storage space that can be used for everything you need while on the bank from spare rain clothes, lures, accessories, pliers. Iron-T Quick Bag is light and simple to wear, perfect for overgrown areas to urban banks. The Gunki 'walk of the line' rubberised rasied logo on the front and side finishes off the black/grey honeycomb perfectly!!! Dimensions - 40cm x 21cm x 11cm.